Empanadas, stone crabs, ceviche and shaken-rum cocktails, this is our kind of South Beach Diet. Miami Beach | Photo Credit: ©Find. Eat. Drink. Specializing in sourdough breads using organic flour. They also sell country and olive loaves. One of two locations of this Miami-based coffee roaster that specializes in small-batch roasting of beans. Cuban eatery Las Olas Cafe | Photo Credit: ©Find. Eat. Drink. This Cuban cafeteria and outside walk-up window coffee stand remains untouched by gentrification. 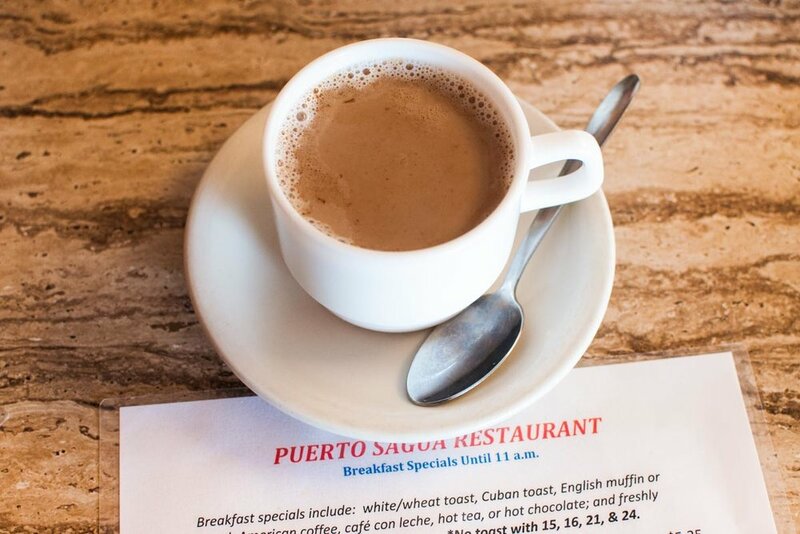 Come by for a café con leche and classic Latin fare. One of the most famous seafood houses in America offers a take-away version of their entire menu. No need to wait on a long line to get into the restaurant, simply call ahead, pick up your crab claws and eat them on the beach. A seasonal antiques and flea market with vintage finds and mid-century gems. The show features over 100 vendors. A tiny take-out spot serving freshly-made ceviche from James Beard-nominated chef Sam Gorenstein. The menu includes six styles of ceviches, seafood tacos, burritos, and stone crabs from George Stone Crab. Chef Josh Marcus is a new school chef giving old school deli recipes an unorthodox spin. Sushi Erika’s father at the former Sushi Deli | Photo Credit: ©Find. Eat. Drink. For many years, people waited in line to eat at Sushi Deli, which was hidden inside of a family-run Japanese market. Run by sushi chef Michio Kushi, from Katsuura, Japan, and his daughter Erika, it shut down in 2017. But fear not sushi fans, the restaurant has been resurrected in a strip mall up the street with chef Erika Kushi at the helm. This poolside cocktail haven began as a pop-up bar. Expect handcrafted cocktails with elixirs, syrups, and infusions made from things plucked from their garden. Family-style Italian dishes from the Pubbelly crew. They're doing their own twist on classic fare and have a salumi and raw bar, small plate dishes, pizza and a five course tasting menu for $45. Joe's has become the legendary restaurant that everyone measures as where the bar is set for stone crabs. A few things to know in advance: it ain't cheap and they don't take reservations. So be prepared to wait for a table (which could be hours). They do offer items other than stone crabs. Stone crabs are only in season from mid-October to May, so make sure they're open. This bar harkens back to the former glam days of Miami beach with barman Julio Cabrera dressed to the nines serving contemporary and classic cocktails. The cocktails change daily, all with proper ice formations. On Tuesdays during the summer they serve two cocktails for $22. This is the mother of all dive bars housed inside a classic Miami deco building. They have the full check list: pool table, well-stocked jukebox, horseshoe bar, vintage neon signage and barflies that look like they were sent from central casting, ranging from drag queens to movie stars and occasionally Mickey Rourke. No cover, cheap drinks and reggae on Monday nights. Avoid the weekend nights, unless you crave long lines and mayhem. Walking distance from the South Beach night clubs and across the street from Mac's Club Deuce, La Sandwicherie is there to serve you when you need a food fix in the middle of the night. Puerto Sagua | Photo Credit: ©Find. Eat. Drink. This Cuban diner opened in 1962 and some of the original customers are still regulars. 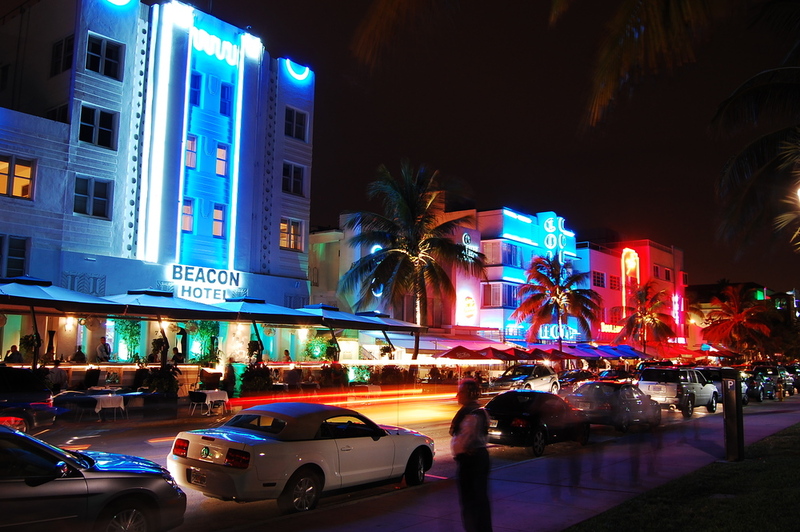 It has endured the dark and dangerous days of old South Beach and held strong through the frilly, nilly glam era of flashy nightclubs and boutique hotels. The food takes a back seat to the experience of visiting this throwback piece of history. 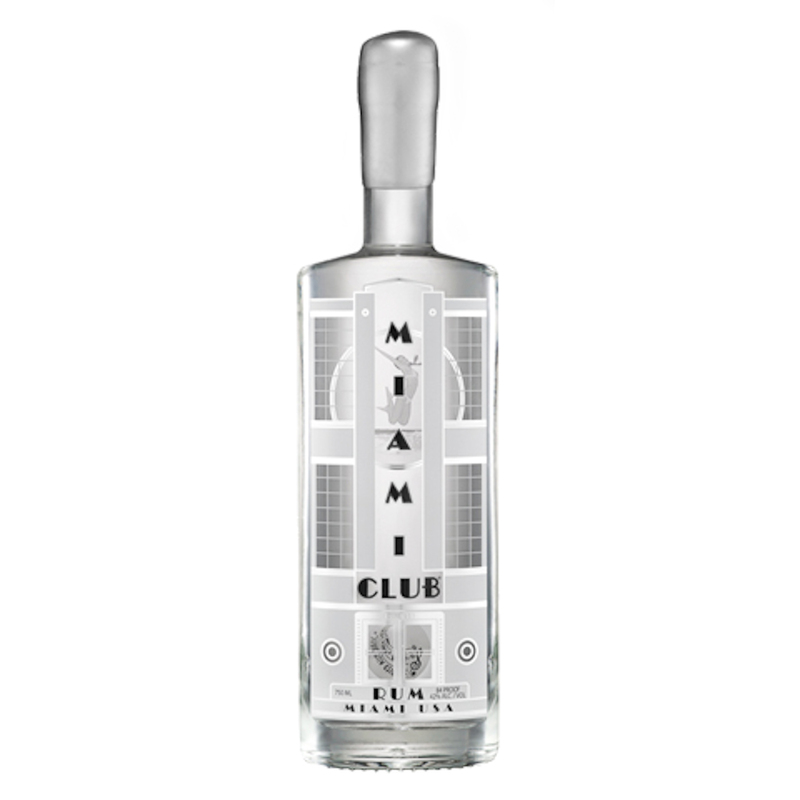 Made in Wynwood, bartender Trevor Alberts recommends their charcoal filtered rum. "They are putting out a very stellar product using Florida cane to make their rum." Locally-made sausages uses cuts of beef from ranches in Florida. Chef Daniel Serfer's favorite is The Dub. "It has some good spice and a little bit of smoked pork." The coffee of choice in Miami began in Wynwood by Joel and Leticia Ramos Pollock. Now you can find people serving their coffee as far away as Grand Cayman. Take home a bag of beans to find out why Floridians love them. ART EVENTS | Links for galleries, fairs, and events. HOUSES & APARTMENTS | Airbnb -- book an apartment. PUBLIC TRANSPORTATION | MetroDade Transit. MODERN ART | Pérez Art Museum Miami. ART & DESIGN | The Wolfsonian. CONTEMPORARY | Rubell Family Collection. CONTEMPORARY & MODERN | Art Miami. Michael Schwartz -- Executive chef and co-owner at The Genuine Hospitality Group in Miami. Hedy Goldsmith -- pastry chef formerly at Ad Lib in Miami. Roel Alcudia -- Head Chef of Mandolin Aegean Bistro in Miami. Michelle Bernstein -- Executive chef and Cafe La Trova in Miami. Nina Compton -- Executive Chef at Compère Lapin in New Orleans and formerly at Scarpetta in Miami. Sean Brasel -- Executive chef of The Meat Market in Miami. Daniel Serfer -- Executive chef and owner of Blue Collar and Mignonette in Miami. Clayton Miller -- Head chef at Dovecoat in Orlando and formerly of Yardbird Southern Table in Miami. Josh Marcus -- Head chef and owner at Josh's Deli in Miami. Norman Van Aken -- Head chef and partner at Three in Miami. Paul Kahan -- Executive chef and co-owner of One Off Hospitality in Chicago. Joe Mizzoni -- Chef De Cuisine with One Door East in Ft. Lauderdale and formerly with DJM Group in Miami. Allegra Angelo -- Sommelier at La Mar by Gaston Acurio at the Mandarin Hotel in Miami. Gabe Orta -- Founding bartender at Broken Shaker and co-founder of Bar Lab in Miami. Julio Cabrera -- Head bartender at Cafe La Trova in Miami. Ben Potts -- Head Bartender at Beaker and Gray in Miami. Ryan Goodspeed -- Former beverage director and head bartender at The Genuine Hospitality Group in Miami. Trevor Alberts -- Head bartender and beverage director at Orange Blossom in Miami. Ramsey Pimentel -- Former bartender at Ritz-Carlton in Miami. Andreas Schreiner -- Co-owner of Pubbelly Restaurant Group in Miami. The city formerly known as “God’s Waiting Room” is transforming into the city now known for its craft beer scene, local coffee roasters, and independently-owned restaurants.